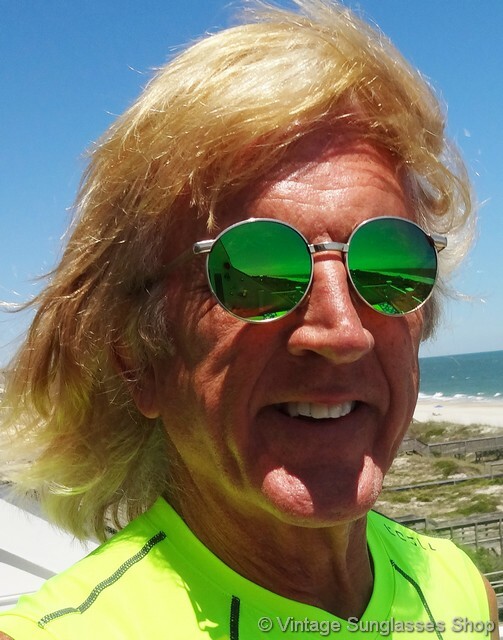 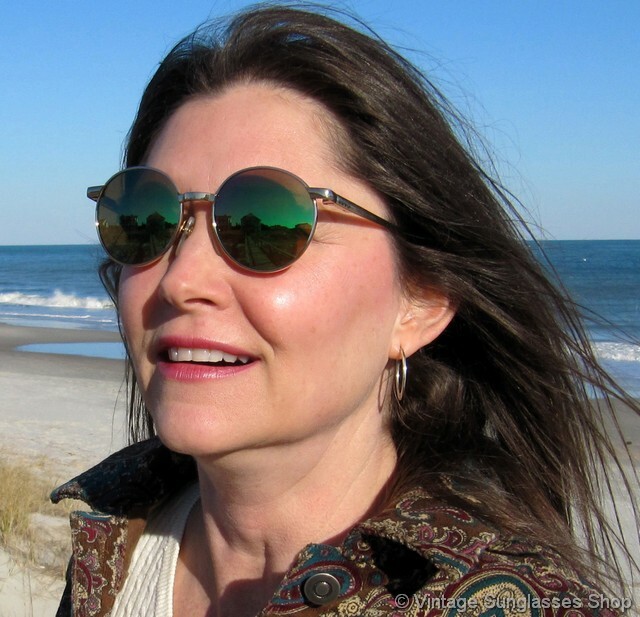 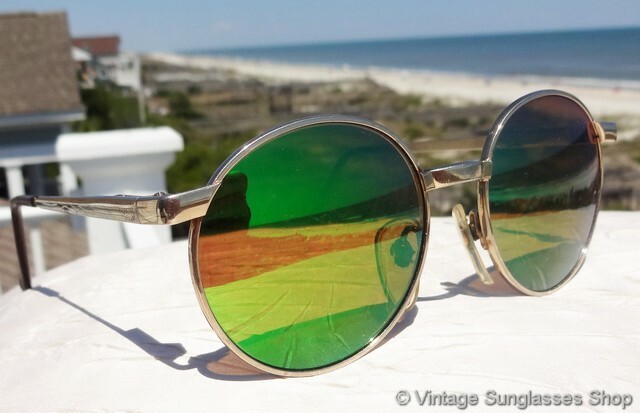 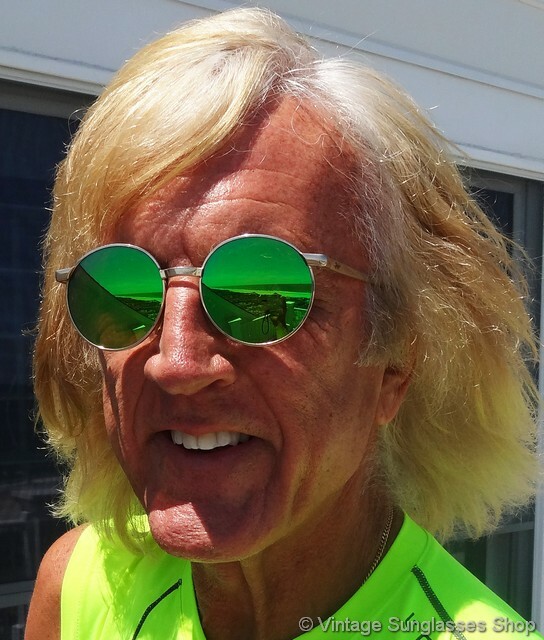 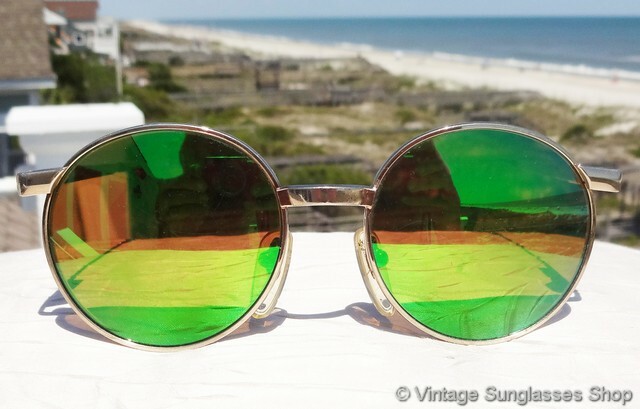 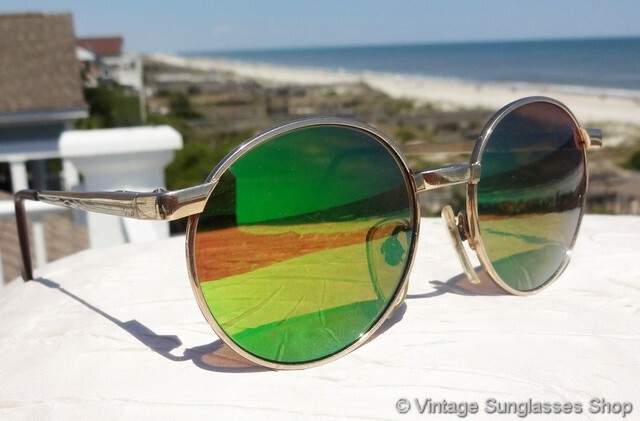 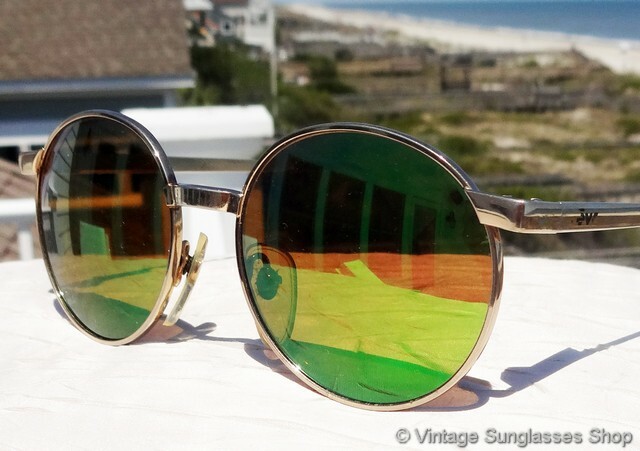 1 Vintage Revo 960 005 Full Moon green mirror sunglasses c 1980s were one of the most popular styles ever produced by Revo and quite rare and still a top 5 favorite of vintage sunglasses collectors. 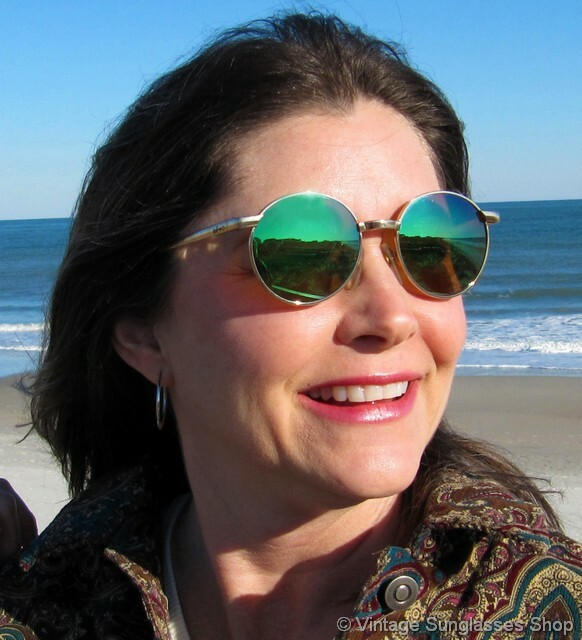 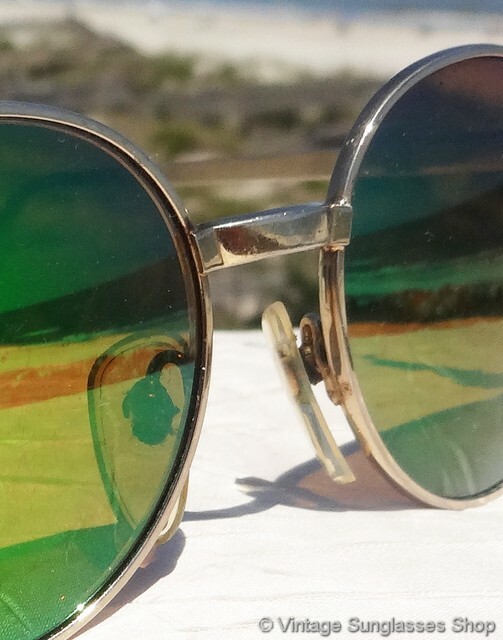 There's no better color combination than Revo green mirror lenses and gold, and that's all embodied in these vintage Revo 960 Full Moon sunglasses. 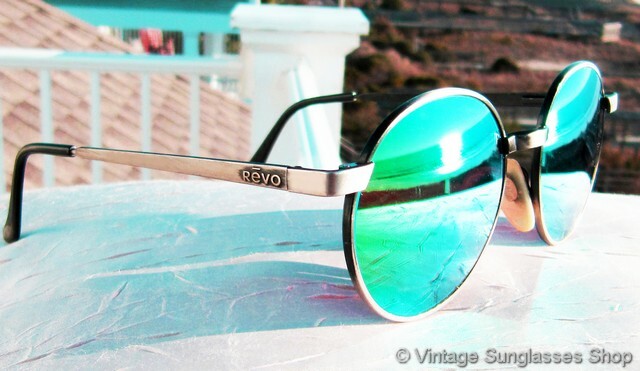 You'll find the Revo logo embossed on each ear stem near the hinges with round, highly reflective Revo green mirrored lenses measuring approximately 2.0" in diameter. 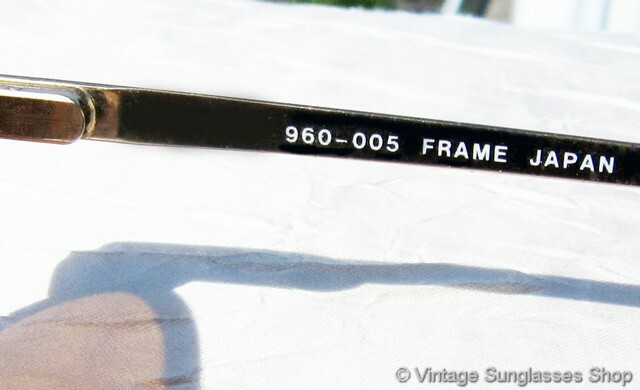 The unisex Revo 960 Full Moon frame measures approximately 5.25" temple to temple and is a perfect unisex size for men and women, and the inside of the ear stem is marked Revo 960/005 Made in Italy. 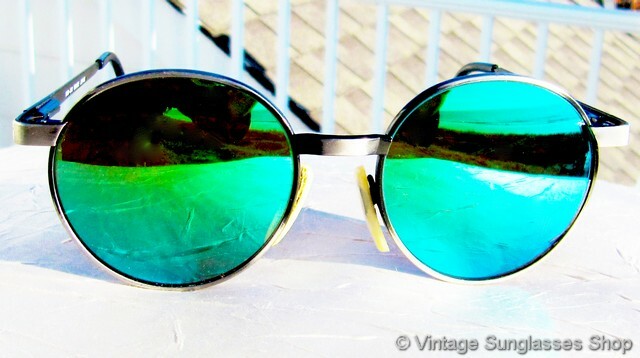 You'll be hard pressed to beat the stylish look and optical quality of these Revo 960 005 Full Moon sunglasses, part of a Minneapolis, MN collection of great vintage Revos. 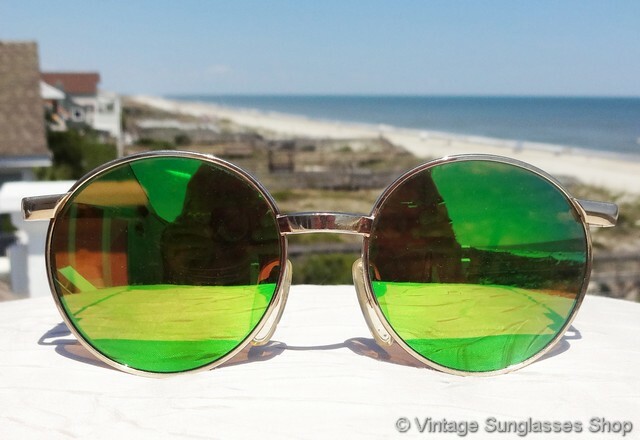 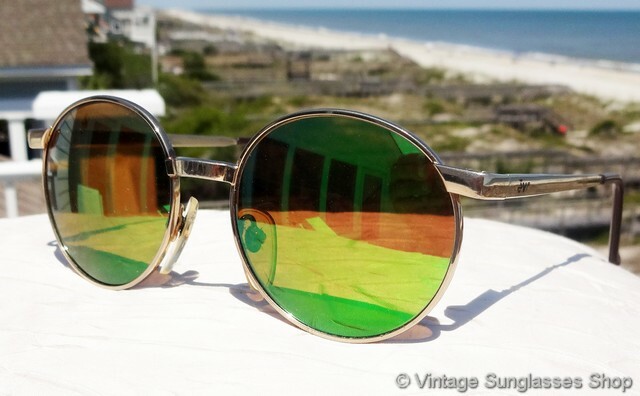 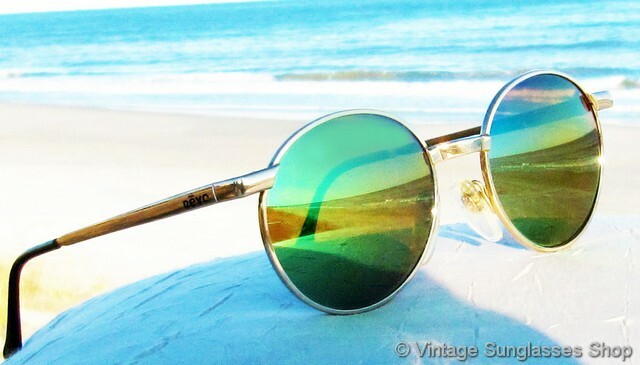 1A Step up another level beyond our already unequaled vintage condition standards with new old stock Revo 960 005 Full Moon green mirror sunglasses in mint, unworn condition. 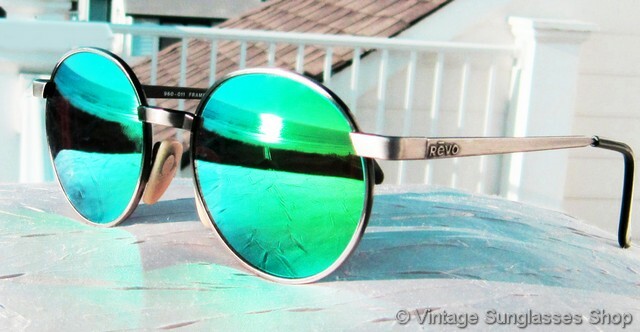 2 In the late 1980s Revo also produced a Revo 960 011 Full Moon with green mirror lenses, but in this model the gunmetal pewter frame is substituted for the gold frame in the 960 005. 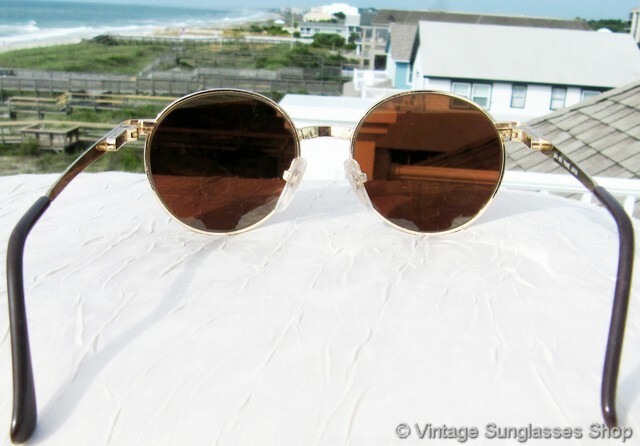 It's a great look which you can see here in photos 1, 2 and 3 and is identical in size and shape to the 960 005.